On 21 September we celebrated our 7th anniversary. It feels like a lifetime ago that we first opened our doors yet, oddly, the time has gone by so unbelievably quickly. But it has been seven wonderful years and a big thank you to all our existing and new clients that came to the shop last week to celebrate this milestone with us. October is upon us and we are really into the swing of summer. 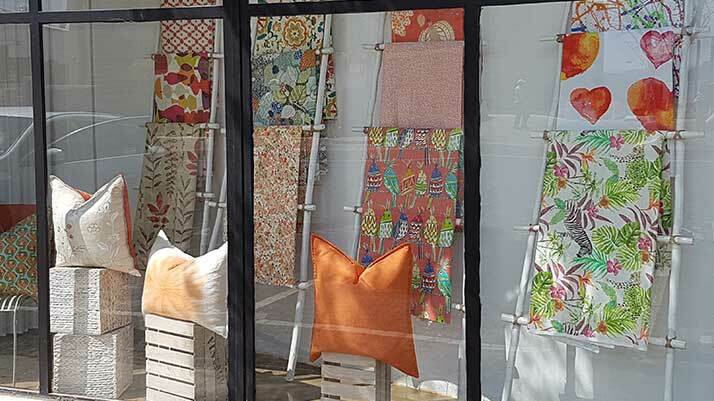 In keeping with this theme we have re-done our shop window using orange as the primary colour. Interestingly, but not surprisingly, orange is associated with sunshine, enthusiasm, success, freedom and enjoyment. It is the colour of joy and creativity. Wonderful emotions! Why not brighten up any area of your home using a few orange cushions or curtains? Come in and see for yourself what can be done.